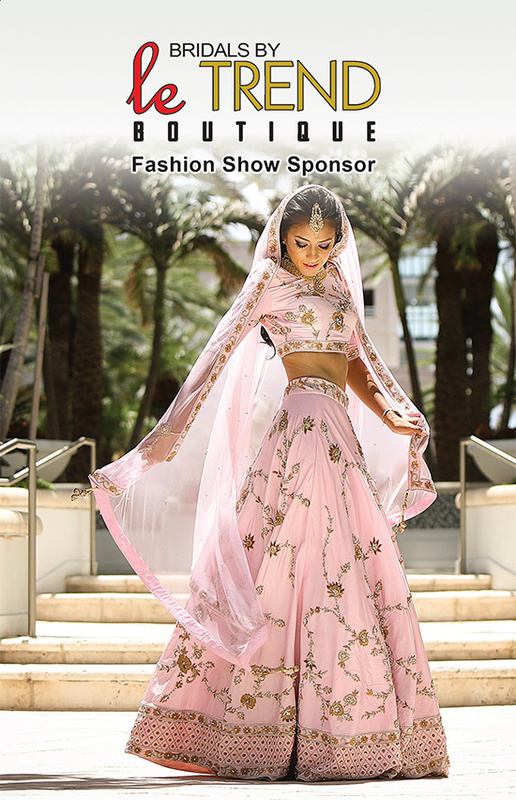 At Le Trend Boutique, we offer South Asian fusion bridal and party wear for the bride, groom, and their families. We specialize in custom designs for bridal outfits and our bridal collection can be made to your preferred size, color, and other specifications needed to create the outfit of your dreams. Working by appointments only, we take pride in giving our fullest attention to the bride and groom during every step of the way in order to create the high quality and stylish garments Le Trend Boutique is known for. We always recommend the bridal party to get their outfits at least four to five months prior to the wedding to ensure everyone’s outfits can be made to their liking in a timely manner. Our newly introduced bridesmaids collection involves selecting a specific color, blouse, and skirt style as well as their choice of dupatta. Bridesmaids can wear their outfits as a lengha or half saree, but gowns and anarkalis can also be made for them. To complete the outfits, we carry a wide range of bridal jewelry, headpieces, and exclusive purses.